Vanarama becomes the Title Sponsor of the 2014/15 Football Conference Company signs three year partnership TELFORD, England (July 30 2014) â€“ Vanarama.co.uk, the market disrupting van leasing business is the new title sponsor of the Football Conference. The partnership was launched today in the presence of member clubs and will see the commercial vehicle specialists take the naming rights for all 1,476 games a season across the three divisions in 2014/15. The deal is a statement of intent for Vanarama joining Barclays Bank plc and Sky Bet as one of only three title partners of the top tier of English football. Vanarama will use the Vanarama Conference platform to further build rapid UK wide awareness and understanding of the Vanarama business via the Leagues established national; regional and social media platforms. Vanarama.co.uk is part of the Autorama Group of companies. Vanarama are specialists in van, pickup truck and car leasing, where customers lease their vehicles instead of buying them. 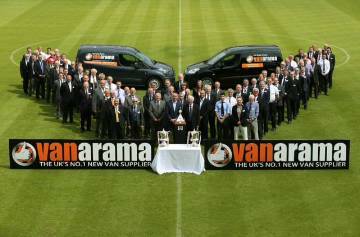 A company of football fans, Vanarama will support the sponsorship with a series of fan-based initiatives. The first of these initiatives is for each clubs community scheme to earn from every car or van leased from Vanarama, or one of its sister companies through a special Club offer. 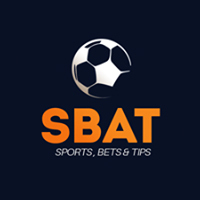 The partnership was negotiated by sports marketing agency SportQuake who will also assist in managing and delivering the national sponsorship campaign. The first game in the new Vanarama Conference will take place on Saturday 9th August 2014 seeing Bristol Rovers FC host Grimsby Town FC at 12.45pm live on BT Sport. Andy Alderson, Vanarama.co.uk's Managing Director, said: "With the Construction sector predicted to play a major role in the growth of the UK economy over the next few years Britains van drivers, our customers, will be at their busiest since the peak of 2007. Our research shows a clear fit between our customers and football fans UK wide and as soon as I became aware of this unique opportunity to become such an important part of the national game I just had to get involved."